Sri Aishwaryam is a perfect home for the ones looking for space, comfort and a touch of bliss. Built by Sri Vedhaa Creations over a wide area, this residential development is set in Ragavendra Nagar,Pondicherry. These homes are just a few minutes away from all your essential utilities and the rest of the city. They offer 2BHK, 2.5BHK and 3BHK apartments and duplex apartments with luxurious touch and modern amenities.  In which area is Sri Aishwaryam located?The project is situated in Ragavendra Nagar, Pondicherry. What is available flat size in Sri Aishwaryam? Flat sizes in the project range from 953.0 sqft to 1365.0 sqft. What is size of 2 bhk in Sri Aishwaryam? 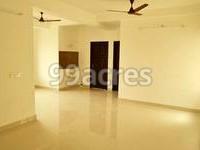 The area of 2 BHK apartments ranges from 953.0 sqft to 1325.0 sqft. What is the 3 bedroom size in Sri Aishwaryam? 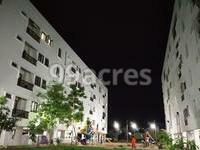 The area of 3BHK units in the project is 1365.0 sqft. How much is the total size of Sri Aishwaryam?The project is spread over an area of 1.17 Acres. What is total price of 2 bhk in Sri Aishwaryam? 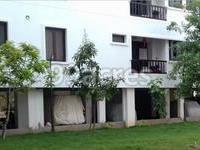 The price of 2 BHK units in the project ranges from Rs. 4330200 to Rs. 5237400.